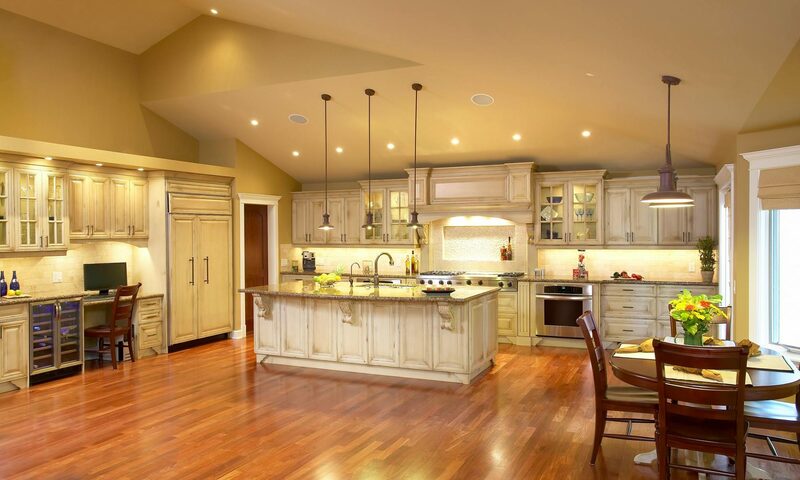 In our City of Calgary approved facility, we achieve all types of finishes from a simple clear finish to a multi-step antique or faux finish to meet the demands of our many clients diverse needs. We provide finishing for cabinet makers, kitchen factories, finishing carpenters, mill shops, builders, renovators and anyone requiring a professional finish applied in a safe, clean approved facility. JECO is able to use the most durable finishes available because we have the ability to apply products that are now regulated for use only in facilities such as ours. There is no comparison to the results achieved with a shop finish to a site finish because of the controlled environment, safe practices, environmental issues and the superiority of products available for shop finishing. Our clients rely on us to provide top quality finishing in a time frame that works for their production schedule. We pride ourselves on meeting or even exceeding their expectations on a consistent basis. We handle all sizes of projects from a single vanity to a 300 suite multi- family development. The size of our facility along with expert staff and 2000 cubic foot curing oven make our ability to turn all projects around quickly unique in the Southern Alberta market. Finally, our high end custom finishes have been in show homes, magazines and SAM award winning projects. The finishes that we have created have only been limited by our clients imaginations. Antiquing, aging, crackle, glaze and metallic finishes have just been some of the techniques that we have used to achieve many finishes unique to the clients that they were created for. Call us to arrange for a consultation or to drop by our showroom.